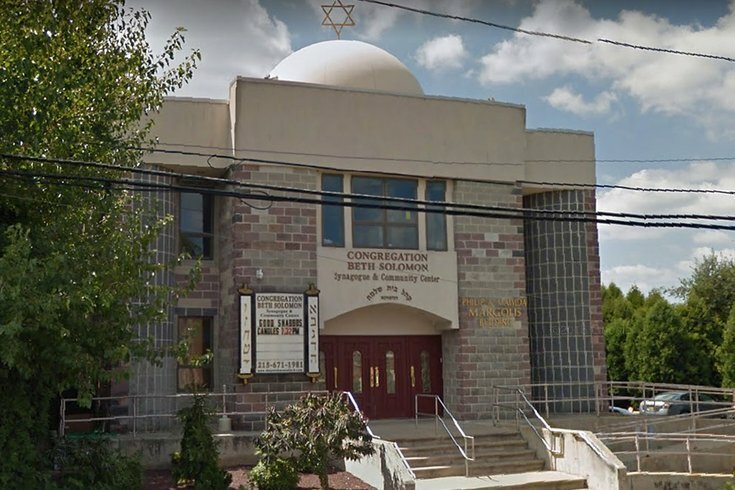 A man was caught urinating on camera at Congregation Beth Solomon Synagogue in the 100 block of Tomlinson Road in the Somerton section of Northeast Philadelphia. The number of anti-Semitic incidents reported in Pennsylvania increased by a staggering 71 percent during the first three quarters of 2017, according to a report released Thursday by the Anti-Defamation League. There were at least 58 anti-Semitic incidents between January 1 and September 30 – a significant increase from the 34 incidents that occurred during the same stretch in 2016, according to the ADL's "Audit of Anti-Semitic Incidents." Pennsylvania is on track to reach 77 anti-Semitic incidents, which would mark the highest total in nearly 10 years. It also would mark the second straight year that the number of incidents have increased by double digits. There have been at least 27 harassment incidents and 31 vandalism reports since the year began, according to the audit. There have not been any reported assaults. Many of these incidents have gained headlines, including several in Philadelphia and its suburbs. In January, rocks were thrown through the window of Temple Menorah Keneseth Chai in the Tacony section of Philadelphia – a repeat of an incident that happened one month earlier. In February, more than 100 tombstones were overturned at Mount Carmel Cemetery in the city's Wissinoming section. In June, a Jewish teacher in Montgomery County received letters with anti-Semitic content and feces smeared on the letter. Later in the summer, a man was caught urinating on camera at Congregation Beth Solomon Synagogue in Northeast Philadelphia. The ADL views the increase with "great concern," Regional Director Nancy K. Baron-Baer said in a statement. "ADL's audit only measures reported incidents," she said. "We know that the vast majority of incidents go unreported, and so the true numbers are much higher. Pennsylvanians cannot stand idly by as anti-Semitism, or any form of bigotry, grows." Nationally, the ADL recorded 1,299 anti-Semitic incidents during the first nine months of the year – a 67 percent increase from the same period in 2016. That figure already has surpassed the total number from last year. Pennsylvania witnessed the fifth-highest number of anti-Semitic incidents in the country, following New York, California, Massachusetts and Florida. The ADL has counted anti-Semitic incidents across the United States since 1979. In response to concerns about rising anti-Semitism, ADL began issuing semi-annual reports this year. The audit includes both criminal and non-criminal acts of harassment and intimidation, including the distribution of hate propaganda, threats and slurs. It is compiled by using information from victims, law enforcement agencies and community leaders.